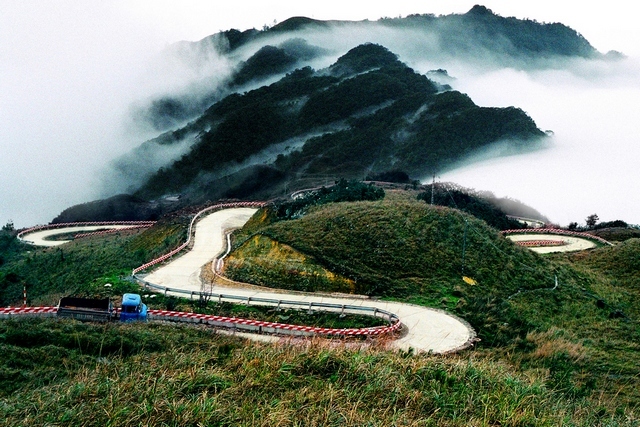 Only 30km away from the center of Lang Son City, Mau Son Mountain is located in Loc Binh District, Lang Son Province. This natural wonder has an ability to mesmerize anyone who is strong and lucky enough to make it to its peak, from which they can witness one of the most magnificent sceneries of Southeast Asia. In the past, people can only get to the top of Mau Son Mountain by either walking or riding a horse. During the period of French colonization, the mountain was the favorite attraction the French upper class in Vietnam. They also built a military center there in the 20th century to guard and protect the border of Vietnam. These activities of the French people excluded the original inhabitants in the region – the Dao ethnic group, from residing in their own place. As a result, this group had to move, leaving the area around Mau Son Mountain to the powerful French. However, only a fixed number of authorized people can enter the French base. The site was not open to tourists until January 1936 when Dr. O Pflot, a student of Dr. Alexandre Yersin visited Mau Son to collect some Vietnamese traditional medicinal herbs. Amazed by the artless beauty of Mau Son, he insisted the French governor on permitting tourism activities to develop in the region. He finally got accepted and started constructing the tourist villas in the same year. It took O Pflot about 7 years to finish his dream site and the result was rewarding. Nowadays, you can find many ancient stone villas on the side of the mountain.